Dutchman’s Puzzle Quilt Block Block your crochet piece! I started this on December 2009, but since I have a new baking hobby (it always good to learn a new skill), I just finished it on this new year 2010. 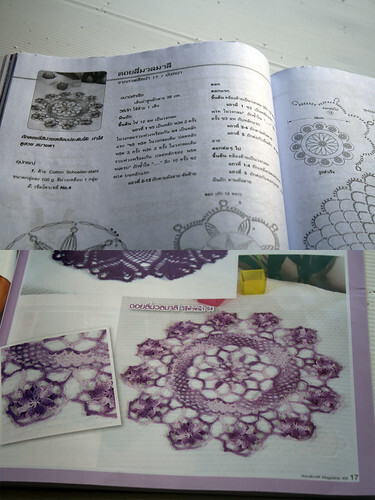 I got the pattern from one of Thai magazines that I had for some time. The instructions are in Thai and in charts. I am still have a hard time to read Thai instruction, luckily the charts are easy to follow. 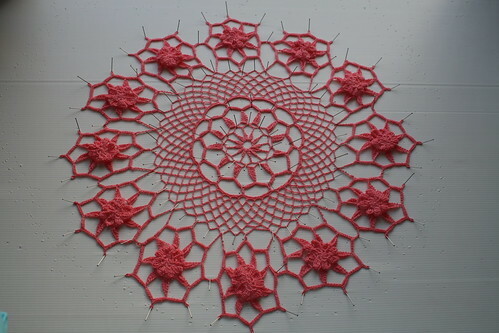 I made this using Venus acrylic thread (Thai yarn) and crochet lace hook clover no. 2 (1.5mm). 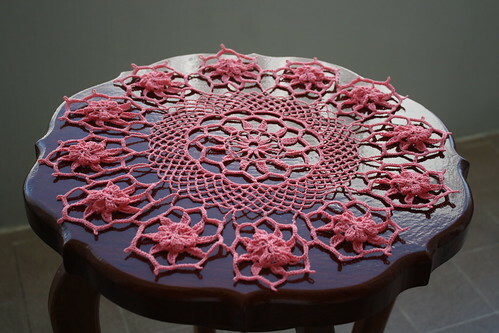 I think I will need to sew a tablecloth using plain color fabric to make this table and doily looks even better. So how about your first finished project in 2010?. Happy new year 2010. Love this one….cantik sekali lho mbak…warnanya juga oke banget….